Sioux City, Iowa, October 3, 2018 – PC Pitstop, the makers of PC Matic Pro, today announced that Cyber Defense Magazine (CDM), the industry’s leading electronic information security magazine, has honored PC Matic Pro in its 2018 Cyber Defense Global Awards. PC Matic Pro was named the editor’s choice for its anti-malware capabilities. This is Cyber Defense Magazine’s sixth year of honoring cyber defense and information security innovators. The judges are CISSP, FMDHS, CEH, certified security professionals who voted based on their independent review of the company submitted materials on the website of each submission. CDM has a flexible philosophy to find more innovative players with new and unique technologies, than the one with the most market share or money in the bank. PC Pitstop received the award for driving innovation in malware detection through two patent-pending technologies integrated into their security solution, PC Matic Pro. First, the globally automated whitelist technology, designed to only allow known-trusted programs to execute, and second, the malicious scripting block which effectively thwarts fileless malware attacks. PC Pitstop develops, markets and supports the award-winning PC Matic security software. 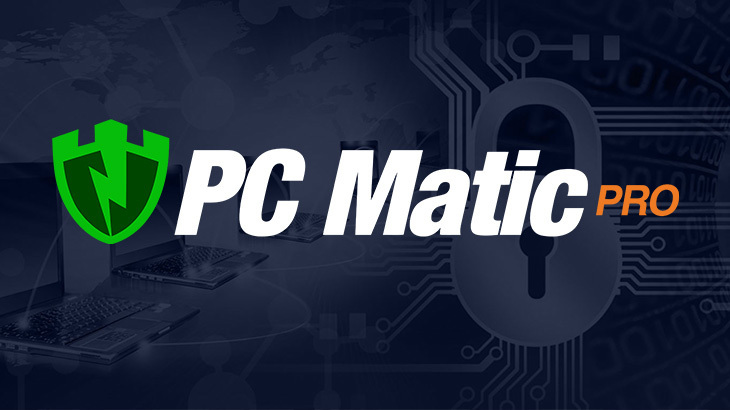 PC Matic features a globally automated whitelist technology and fileless malware detection, together providing the best security protection for endpoints and servers around the globe. Founded in 1999 by Rob Cheng, the American company with operations based in Sioux City, Iowa and Myrtle Beach, South Carolina – was established with the sole purpose of creating a better way to diagnose common computer problems. Over 19 years, PC Pitstop has evolved into an innovative provider of cloud-based performance and security solutions for businesses, government agencies, school systems, and nonprofits. For more information, visit http://www.pcpitstop.com/. Press awards, CDM, pc matic pro. permalink. I purchased PC Matic about 2 weeks ago. Yet , only to come to my office yesterday to find I’m locked out of windows. After making a phone call which I felt the guy was a bully I realized it was a scam. However, the guy was bold enough to shut my system down to try and prove a point and go on to try and sell me protection for an outrageous fee. He did turn it back on and told me I had 15 minutes before I lost everything. I managed to get him off the phone. I brought up QB to back up file just in case the system had been compromised. In doing so I had to rebuild the file before backing up. Thankfully, I did not lose any files. When I purchased PC Matic it was my understanding that the program would protect my system.. I purchased the lifetime one for 5 systems. I’m very disappointed in this purchase. Unless, a tech from PC Matic can call me and convince me that the program works and explain how it works I will cancel. Hi Terri, Please submit a helpdesk ticket to our support team at http://www.pcmatic.com/help. They’ll be able to assist you further; however, it does sound like this was a fake virus scam that populates in the browser. Typically it will include a warning that the system has been compromised, or your Windows operating system is failing, and you must call a 1-800 number for “support”. Only to call and get scammed. The biggest issue comes about when users allow these scammers remote access to their PC. Once that occurs, the user loses all control, and the hacker and install or disable anything they’d like. I was wondering if you think my computer is now DEAD. I was hacked and scammed and whoever did it left my computer useless. Hi Douglas, Please reach out to our support team at http://www.pcmatic.com/help — they will be able to further assist you regarding any issues you’re experiencing. They will also be able to investigate the attack, and how to assist with remediation.